Laurelhurst Elementary in northeast Seattle. On a gray day last October, teachers across Seattle wore a shirt that read BLACK LIVES MATTER. They knew there might be criticism. John Muir Elementary in south Seattle had done this in September and received a bomb threat and hate mail from across the U.S. But they did, and the day was, by most accounts, uneventful. Some kids got it – most didn’t. Just another school day. And then, a backlash, but this time not from outsiders. White parents from the city’s tonier neighborhoods wrote to their principals to say they were displeased. A Black Lives Matter day was too militant, too political and too confusing for their young kids, they said. Some danced around their discomfort, others snarked in ALL CAPS. These parents would not talk to us, so we made a public records request for their emails. Their names were blacked out, which is why they are not named here. Blanford is black and represents the Central District, the historic African-American heart of the city. He wasn’t surprised by the emails from parents after the Black Lives Matter day. Middle-class white parents have asked him for help getting their kids out of Madrona Elementary, which is 44 percent black. “No one will say to me, ‘We don’t want our kids to go to a black school,’ but I believe that’s frequently the underlying reason,” Blanford said. Black Lives Matter emerged from a Twitter hashtag in 2013. The movement gained momentum as videos emerged of police officers killing black men, and from there became a rallying cry against racism. Those three words say that black lives haven’t mattered enough in this country, and they should. 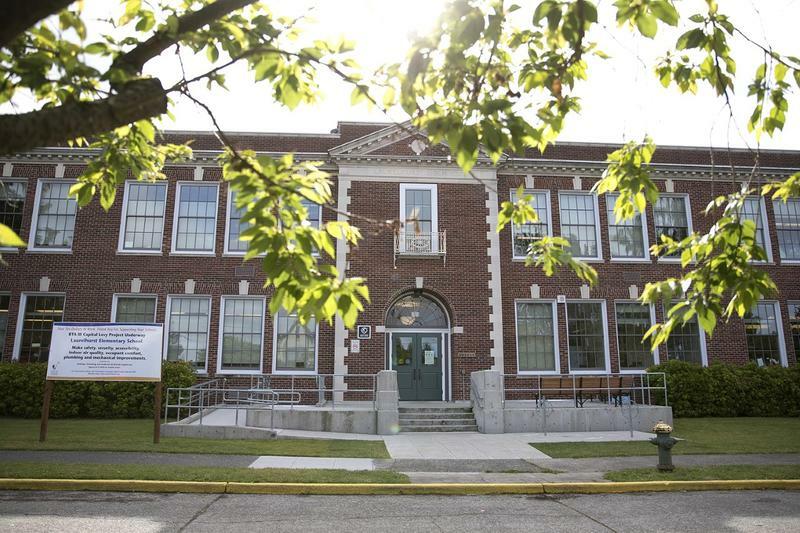 Reaction to the Black Lives Matter day might have been more muted had Sarah Talbot, the principal at Laurelhurst, not sent an email afterward to parents. “I heard from a few parents concerned about what teachers weren’t saying,” Talbot wrote. “They weren’t saying anything about lives — the lives of students, parents and families — who are not black. I worried about that too. Would our Native students feel left out, since they face the same (or worse) effects of systemic racism in schools and outside of schools that black students face? What about the majority of the students in our school who are white? They also live with the effects of a society that unfairly prioritizes their lives. “But then I remembered that at Laurelhurst Elementary, we have a 20 percent difference in the growth of black students’ reading skills when compared to the average growth of all students at our school." After school, a mom learned that her 5-year-old was asked to stand up in front of his class and talk about Black Lives Matter and his shirt. By the end of the day, he had taken it off and shoved it in his cubby. The Laurelhurst Blog, which doesn't name its writer, wrote to media a week later: “Many parents contacted the Laurelhurst Blog and found the email disturbing, divisive and offensive, and one called it ‘racially biased.’"
Director Blanford urged me to interview Jill Geary, the school board director representing northeast Seattle. Geary is a white mom of five with a daughter at Laurelhurst Elementary; maybe she could explain parent thinking, he said. Geary doesn’t see herself as a total insider, however. She was once an administrative law judge who focused on special education; years ago she refused to join other parents in trying to oust a program for highly traumatized kids at Laurelhurst. Geary shared a story from earlier in the year: A sticker that read “HCC = APPartheid” was placed outside Thurgood Marshall Elementary. HCC stands for Highly Capable Cohort; APPartheid is a play on what the program was called before – APP, or Advanced Placement Program. The sticker's message: The gifted program is overwhelmingly white. Last year, 1 percent of the program was black, even though the district was 16 percent black. Read: Where are the black kids in Seattle's gifted program? But Geary said caring a lot is part of the culture at affluent schools like Laurelhurst, where parents have time and money to get involved. Director Jill Geary tells Principal Sarah Talbot she supports the Black Lives Matter effort. She continued: “What I see when I read these emails is this utter failure to value black life. Because if you value black life you go, ‘Oh my god, even if I don't understand this, why is it that African-Americans need to have this movement for black lives, and what is it like to be a 10-year-old child who's black? Many parents were also supportive of the Black Lives Matter day. Not that all parents bristled at the Black Lives Matter day. Several cheered on the school in their emails. And when I contacted members of the Laurelhurst PTA members, two moms replied that they supported it. But there was also a mom heartbroken by how the day had played out for her son. “I was feeling scared to drop them off at school, [my son] in particular, being at Laurelhurst as a brown student in a sea of white peers and white staff,” she wrote to Principal Talbot. That morning, the mom and her son talked about what his Black Lives Matter shirt meant. “He told me he felt scared,” the mom wrote. “I cried so many tears of sadness, fear, anger and feelings of lost hope yesterday morning,” she said. After school, she learned that her 5-year-old was asked to stand up in front of his class and talk about Black Lives Matter and his shirt. By the end of the day, he had taken it off and shoved it in his cubby. When I told Director Blanford this story, he said it made sense the boy was overwhelmed. “In his day-to-day experience as a student, he's probably pretty invisible, and then all of a sudden, he’s the celebrity in the classroom." Referring back to the critical parents, he said, “The intersection of class and race always has the potential to be explosive. This was a nice powder keg, and it just needed the match." Correction 6/20/2017: An earlier version of this story may have left the incorrect impression that the second quote attributed to the Laurelhurst Blog was posted to the blog itself. In fact, the quote was included as part of the email the Laurelhurst Blog sent to media outlets, including KUOW. 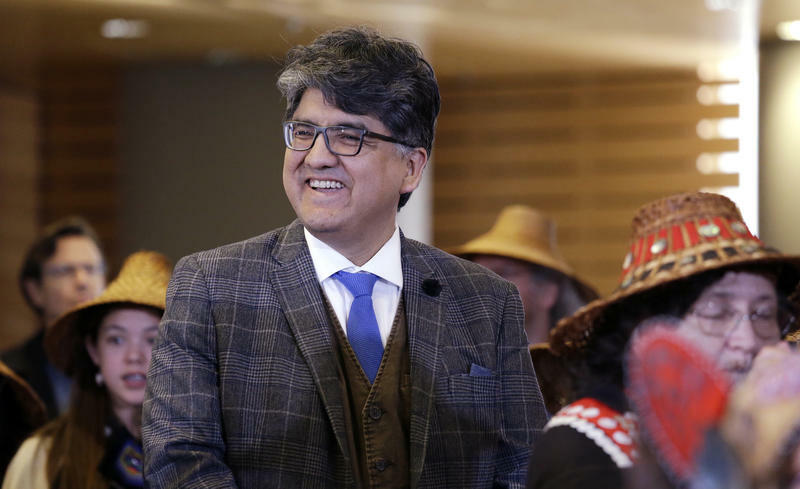 In Sherman Alexie’s deeply personal memoir, “You Don't Have to Say You Love Me,” he tells the story of growing up as the son of Lillian Alexie on the Spokane Indian Reservation. Last year, I had a big business meeting in New York and a reading for my new book, "How to Say I Love You in Indian," at the American Indian Community House in Midtown Manhattan. For some inexplicable reason, some television folks were interested in me doing television work. Look, I’m from the rez – we’re hunter-gatherers. If someone is willing to give me free food and an opportunity to provide for my family and me, I’m definitely going to be there. The lunch meeting was at noon. I usually fly red-eyes so I can tuck my son into bed and spend as much time with him before I leave. This time, however, I wanted to be well-prepared and rested, so I flew the night before. First half of the flight was cool. I wore my comfortable flying clothes – camouflage sweats, camouflage sweatshirt, braids and a skullcap.